I have a large potted palm that spends the winter months in my home. 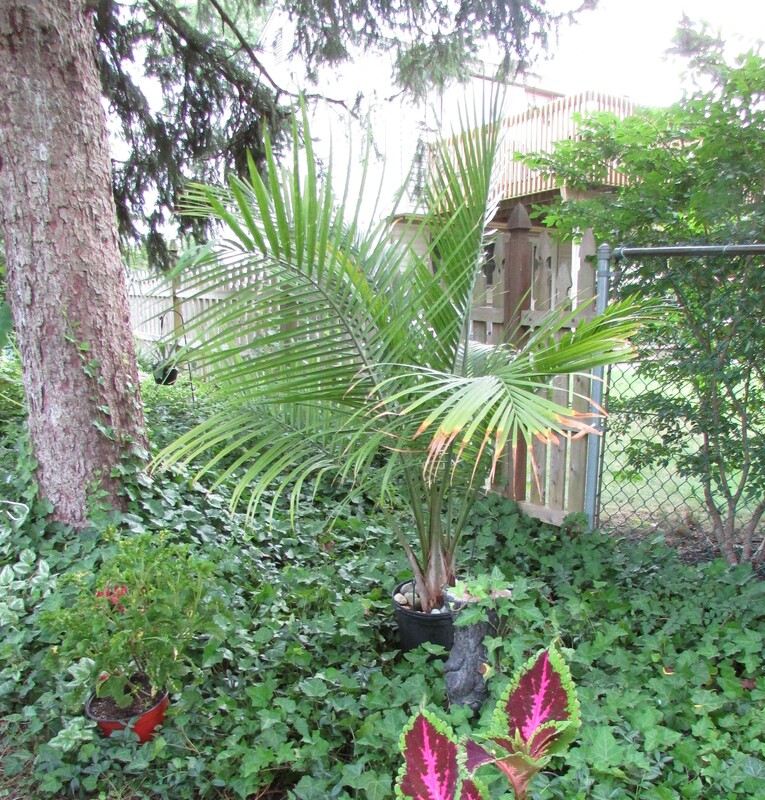 During the summer, the palm is ‘vacationing’ in my backyard beneath the pines. While it is outdoors I will take a pair of scissors and snip away the browned ends of the fronds. Potted plants, large and small, tip over easily in the high winds and heavy rains we have been experiencing this week in my area. 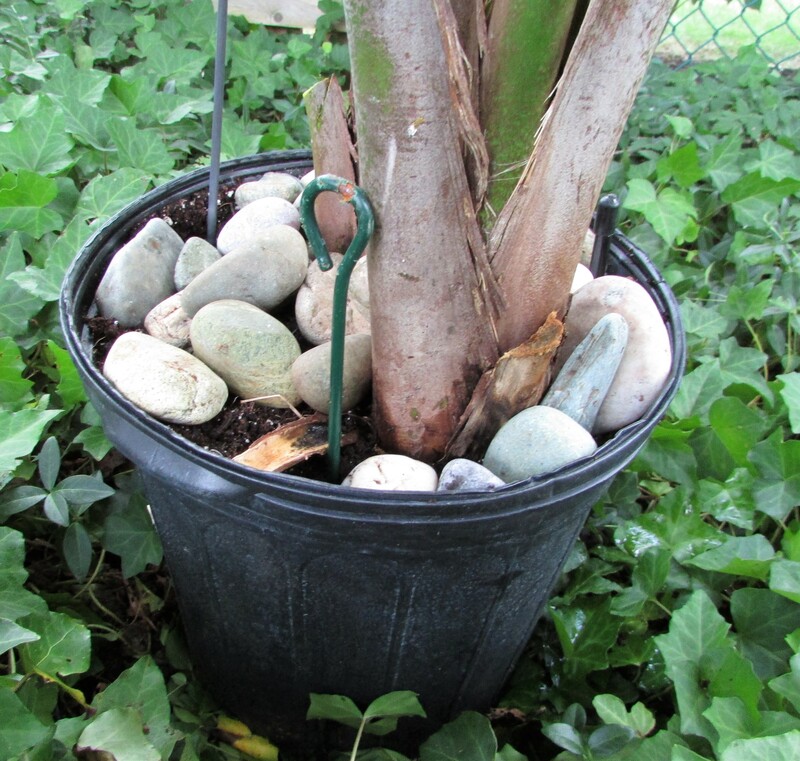 I tried weighting the surface of the palm’s pot with rocks, but during the first strong breezes the pot tipped over. To better stabilize the plant I ran a garden stake through the top of the pot, threaded it through the side (or bottom) drainage holes, and hammered it into the ground. I used four stakes for the large palm, smaller plants will stand firm using only one. I’ve shared this tip in the past, but it is worth repeating for those who are new to gardening outdoors. These plants give a tropical feel to your garden. Great tip, Kathy. Thanks Susie, As soon as I posted the results of it were proven yet again…it is windy here…a lot of rain, then sun, and then rain again, in fact, just now it started raining as I write. (I am on the back porch) This tip really works. Yeah for good tips and good tropical weather. Has the temperature dropped then ? We aren’t having a heat wave, but it is still in the 80’s…very humid though…tropical in atmosphere, and rain starts off and on. You have a Wonderful Tropical back yard I feel like I am in the Caribbean. 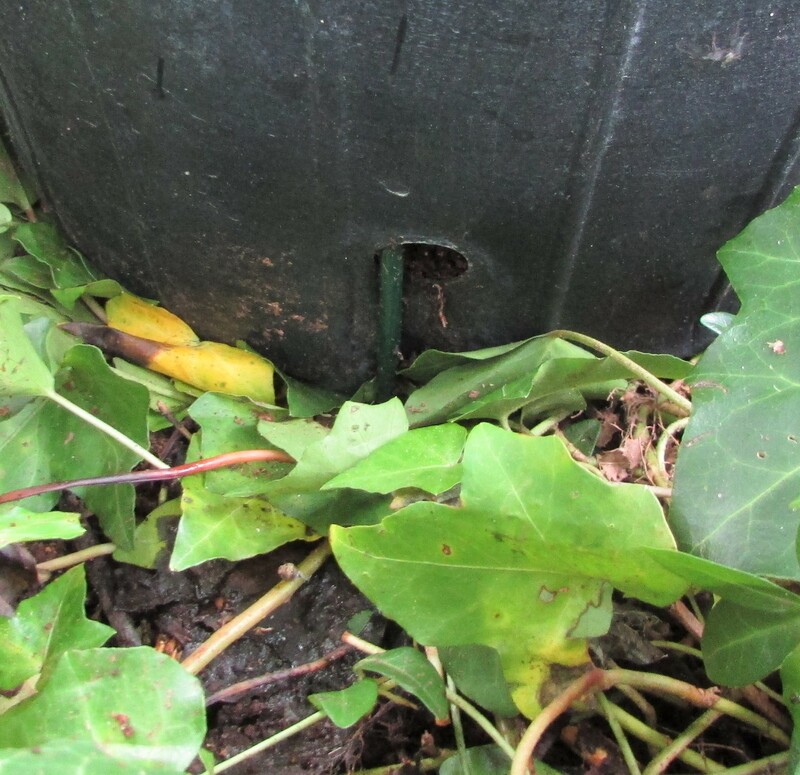 Thanks…it was put into trial last night…we’ve had a week of heavy rain off and on. The plant is still standing. Hooray! Great idea 🙂 Safe and effective. Can’t go wrong with that! I loved the picture you included of the palm hanging out in the yard. It adds a very unique and exotic feel to your space. Very nice. Relaxing out there in the “jungle” would be very relaxing! Thanks for sharing. The palm has gotten so big it takes over any room it is in. I have placed in the basement where it gets about 6 hours of intense sun through a window. It seems to be thriving. I hope to take it back outside in the late Spring.